As India's leading philanthropy event, Dasra Philanthropy Week (DPW), in it's 9th edition, brought together India's most influential philanthropists, corporates, NGOs and government officials gathered to exchange learnings, foster collaboration and celebrate impact. The week saw over 350+ attendees development practitioners, experienced philanthropists and dynamic social entrepreneurs) come together to strengthen the philanthropic movement, debate and discuss critical development issues and accelerate social change in India. The Dasra Philanthropy Week 2018 brought together over 350+ philanthropists, NGOs, government, foundations, corporates, and development sector experts to discuss India’s critical development challenges, share learnings, and foster collaboration to accelerate social change. 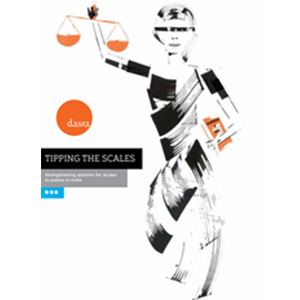 Dasra launched its new initiative 'ImpactFirst - Prioritizing Lives in Philanthropy' an initiative to enable adoption of a mindset that puts actual lives at the forefront of philanthropic work, and jointly invest in solutions that work. ImpactFirst aims to inspire accountability and foster convergence between key stakeholders, towards achieving measurable outcomes such as the Sustainable Development Goals by 2030. If we mobilize girls to believe in their own abilities, their right to education and employment, we empower them to influence and encourage their families and communities to support their aspirations and assist them to become active contributing members of the community and country. This video highlights the power of the 10to19: Dasra Adolescents Collaborative, a movement for India’s adolescents that unites various partners on four key outcomes for adolescent empowerment: completing secondary education, delaying the age at marriage, delaying the age of first pregnancy, and increasing agency. This report maps and presents solutions to the spectrum of issues that obstruct universal access to justice in India. It also profiles 10 NGOs doing critical and impactful work on the ground in this sector. 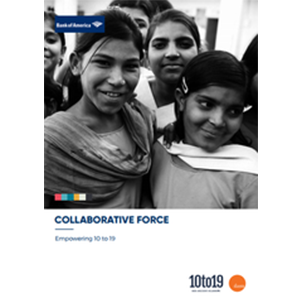 This white paper documents India’s first ever outcome-led collaborative for adolescent empowerment, and highlights the significance of the collaborative approach for tackling serious problems. The eighth edition of India philanthropy report 2018, seeks to explore how philanthropists can give more effectively to optimize the impact of their giving and help them reach their full philanthropic potential. 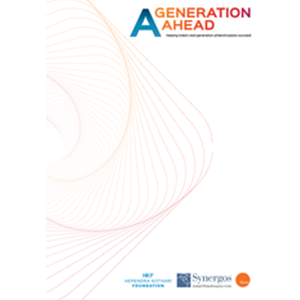 This study uncovers insights to help accelerate Next Generation Philanthropists’ (NGPs) donor journeys. This study draws upon the existing corpus of information that has been collected on NGPs in India and globally.